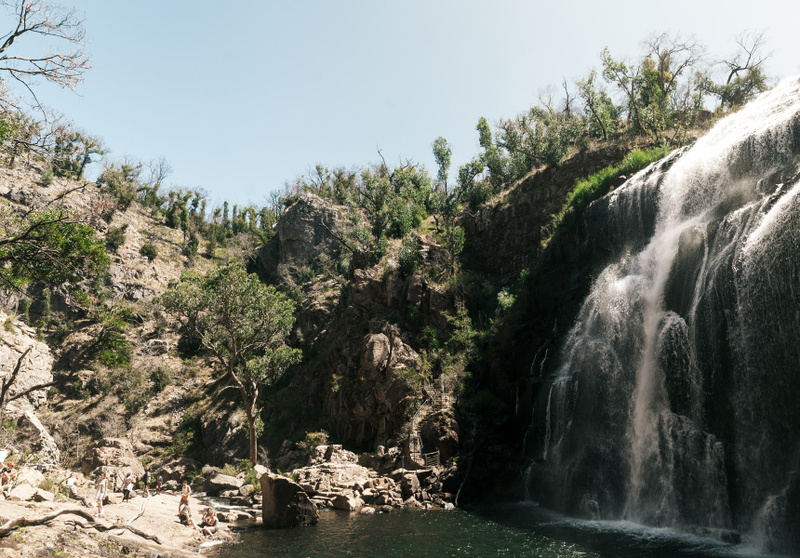 The Grampians National Park is more than 1600 square kilometres of breathtaking scenery. 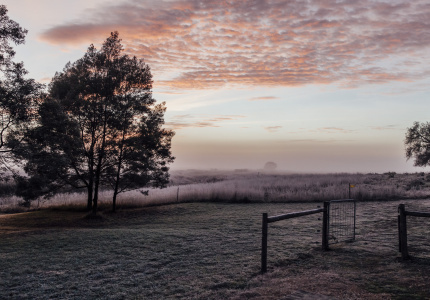 The region’s waterfalls, rolling hills, rugged mountains and wildlife are a three-hour drive from Melbourne, but if you’ve been, you don’t need us to tell you it’s worth it. On the hospitality front, the Grampians is a quiet achiever. Its reputation for food and wine has grown steadily over the past few years, and is becoming increasingly hard to ignore. The Royal Mail Hotel dining room in Dunkeld is known around the world for its extensive wine list (there are more than 2000 options stored in a cellar across the road), and its menu is inspired by the on-site organic kitchen garden. 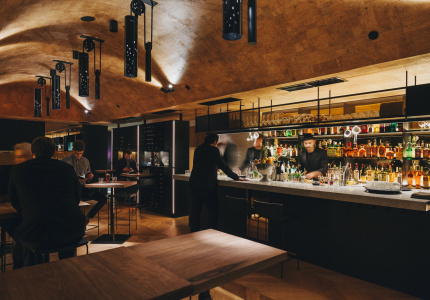 You can get a Melbourne-standard coffee from many cafes and the region’s wineries are raising eyebrows for their quality. 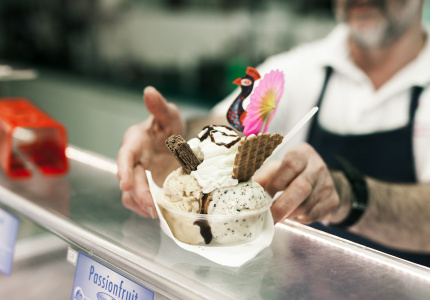 If quaint country charm is what you’re after, Stawell’s Waack’s bakery once made a half-kilometre-long lamington just to lift the town’s spirit. 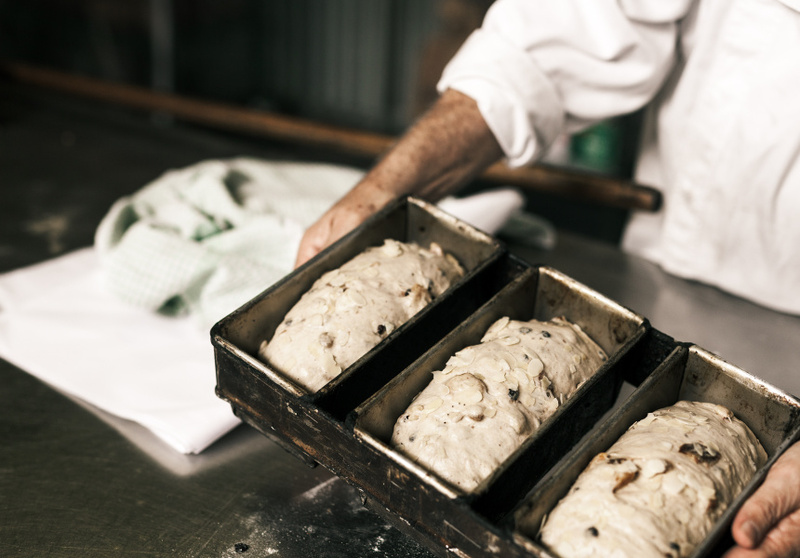 Dunkeld Old Bakery bakes its sourdough in one of the state’s oldest bread ovens. 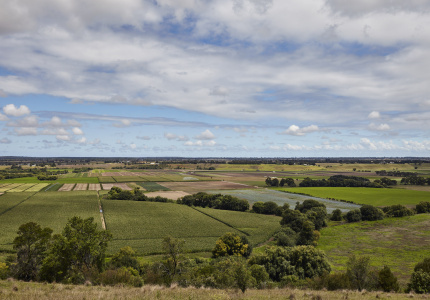 Here are our recommendations for where to explore in this stunning part of western Victoria. Just under three hours drive from Melbourne. 2 hours and 25 minutes from Melbourne to Ararat by train. Connecting coach services travel to other parts of the region. 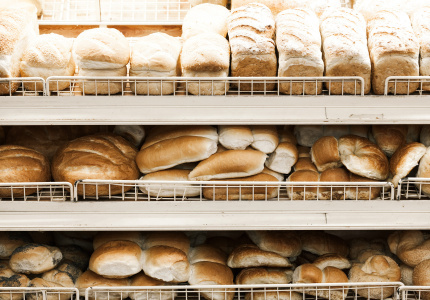 Food ranges from highly-awarded restaurants to local bakeries. Grab an eight-course tasting menu, or a meat pie. Twenty-four flavours, from kids’ classics to more grown-up inventions. A cafe and provedore packed with local produce to eat in or take away. Award-winning pies, pastries and slices. Grab a loaf of sourdough fresh from a century-old oven. 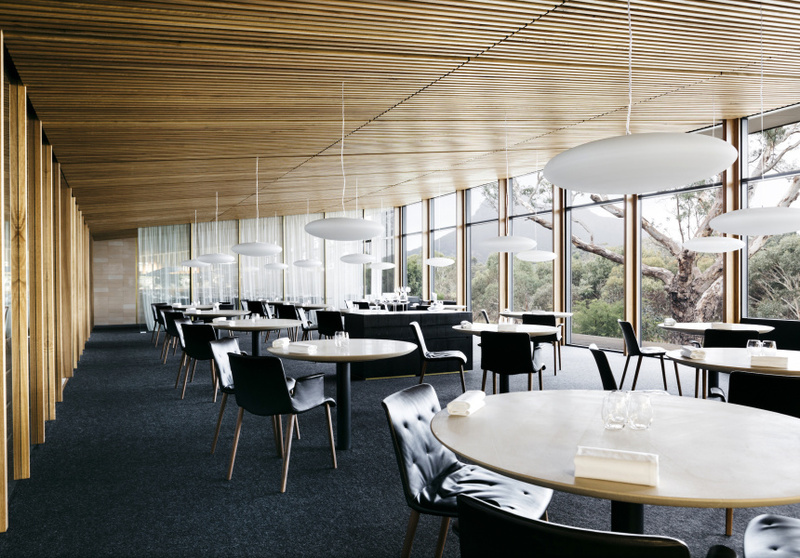 Hyperlocal produce and a staggering wine list make this fine diner the jewel of Dunkeld. 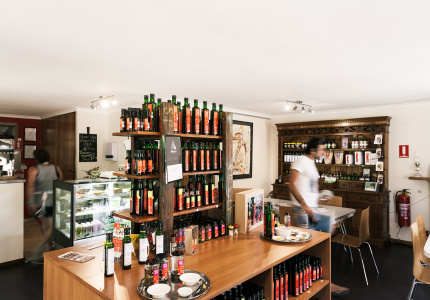 Five thousand olive trees supply this farm-gate shop, where you can BYO wine and graze on the produce. 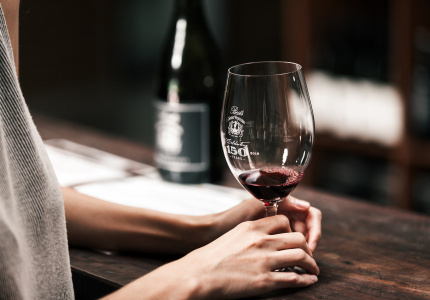 Sample some sparkling shiraz from the internationally acclaimed Grampians wine region. 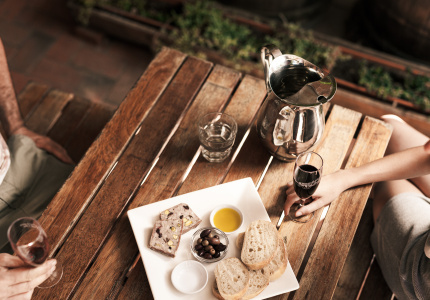 Break up the drive from Halls Gap to Dunkeld with a cheese plate and a glass of sparkling shiraz. Shiraz and more since 1867. It’s not just food and wine. Take a hike and enjoy the view. 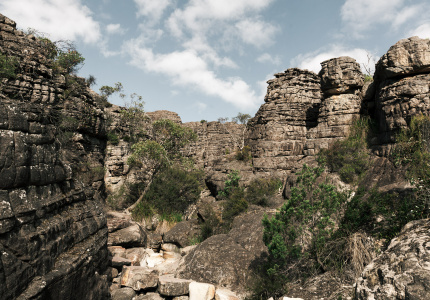 It will take you three days to hike the rugged and rewarding first stage of the Grampians Peaks Trail, but you don’t have to walk it all to get the highlights. Inexperienced hikers (or those with limited time) can drive to one of multiple car parks along the trail, and access relatively quick bushwalks to see rugged mountain ranges, canyons and multiple waterfalls. The Pinnacle lookout at the top of the trail has panoramic views of the entire national park. MacKenzie Falls is an easy, two-kilometre walk that will take about two hours (including rest stops and waterfall admiration). You can walk to a lookout in 20 minutes, but don’t. Stick it out and you’ll be rewarded at the base of the falls by a close up of the majestic waterfall in all its glory. 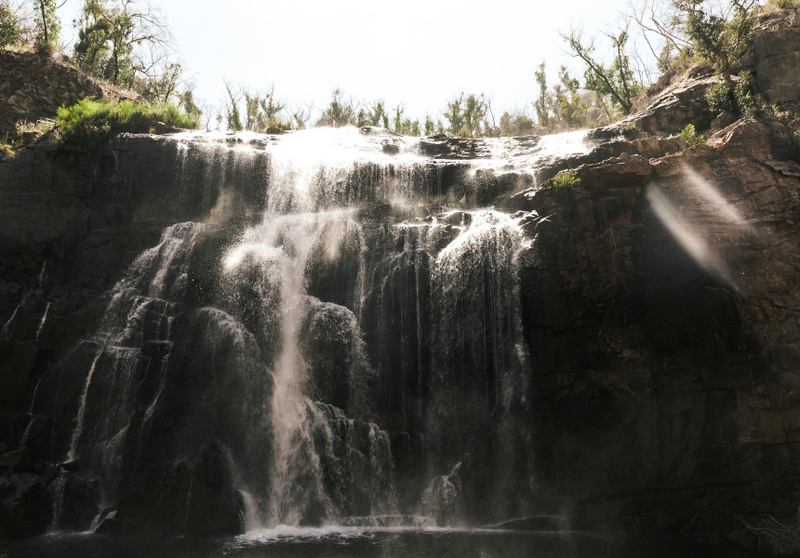 Water cascades over huge Grampians cliffs into the deep pool below it all year round, sending sprays of rainbow mist into the air. 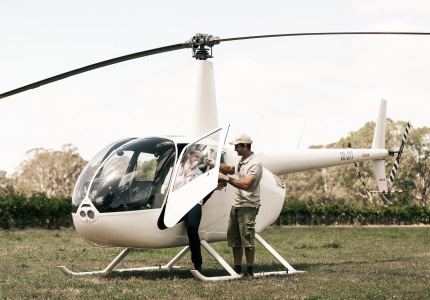 Husband-and-wife Justin Neofitou and Justine Hide started Grampians Helicopters in December 2015. They offer a number of different flights over the Grampians, from short joyrides that include a history of the region, to longer scenic tours. A food-and-wine helicopter tour will fly you from Best’s Wines to Red Rock Olives and save you a half-hour drive. All flights include sweeping views of vineyards, cliffs and jagged mountains. Accommodation ranges from hotel service, to self-contained units, to nature retreats. 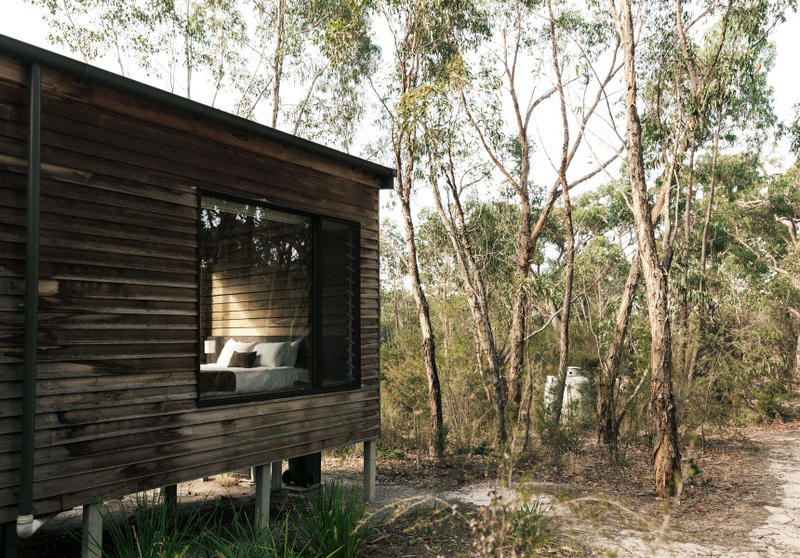 The Down Under Log Cabins are what getting-away-from-it-all dreams are made of. 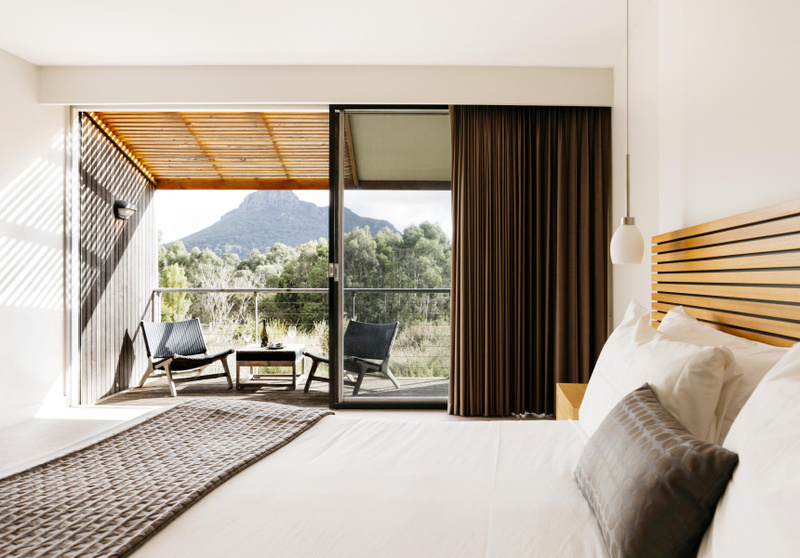 Each room has polished-concrete floors, floor-to-ceiling timber walls and a balcony with breathtaking views of the Grampians National Park. Bathrooms have sunken spa baths and floor-to-ceiling glass (guests have reported wallabies watching them shower). There are five cabins over five acres. They sell out fast. 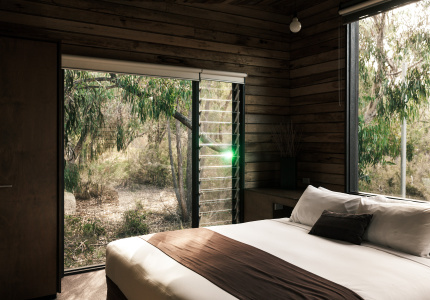 The rooms of the Royal Mail Hotel are designed to capture the beauty of the environment surrounding them, which includes the jaw-dropping Mount Sturgeon (a southern entrance to the national park) just out the back window of all rooms. 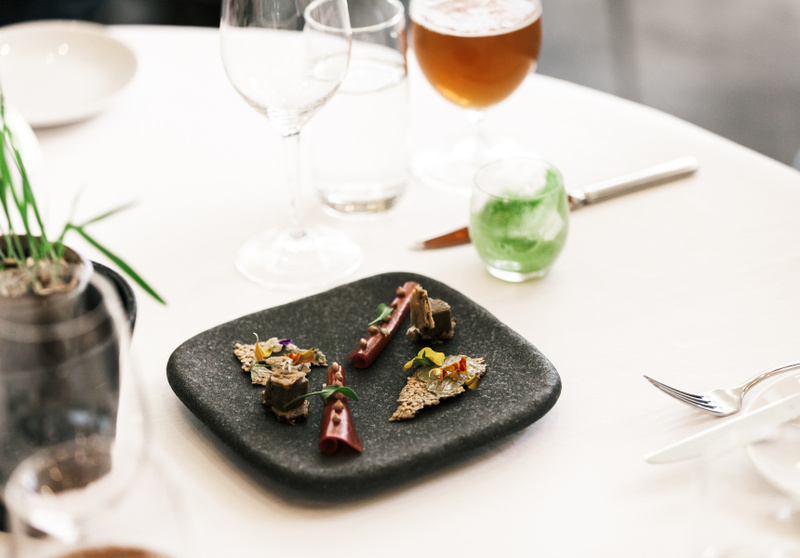 If you plan to try the Royal Mail Dining Room’s eight-course tasting menu with matched wines, you’ll need to stay somewhere close by, and you can’t get closer than this. 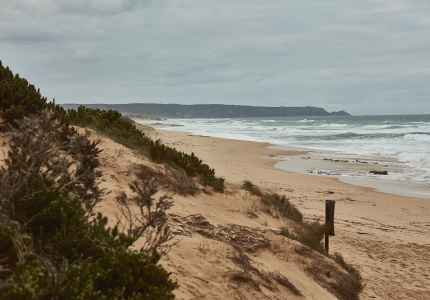 Make the most of the region and spend a day hiking, eating, drinking and exploring. Wake up for a pre-hike coffee and breakfast at Harvest Halls Gap Cafe. 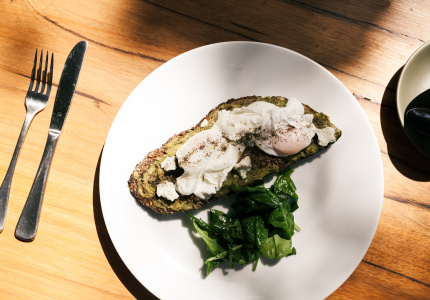 Green eggs with local Greenvale ham is a menu highlight. Drive to the MacKenzie Falls car park and walk the 40-minute track to the base of the waterfall. Have a rest, enjoy the serenity, then climb the stairs to the top. You’ll need a sugar hit. Grab a milkshake or a scoop of Coola’s rock-salt caramel and eat it on the ice-cream furniture out the front. The drive from Halls Gap to Dunkeld will take about an hour, but it’s worth it for what’s to come. Grab a gourmet pie and salad for lunch (but don’t fill up). Two options. Strap yourself in for a five-hour, eight-course tasting menu with matched wines, or have two courses and leave at a reasonable hour. Return to your hotel room and collapse into a food coma. Leave the shower, and coffee on your private balcony, for tomorrow morning. To explore The Grampians in further detail, visit the Visit Victoria website at wandervictoria.com.